Who will reign supreme at next year's Big Clash? 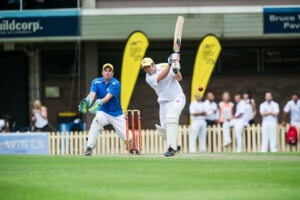 Unltd has expanded its Big Clash Cricket event into a tournament with four teams across Sydney and Melbourne. The popular fundraiser is in its fourth year and has raised more than $130,000 to date. The next instalment features four teams with men and women across the four corners of the media industry – media agencies, creative agencies, publishers and technology firms - invited to take part. Each team will become an ambassador for a specific charity that UnLtd supports. “This is a hugely important event in the UnLtd calendar and raises much needed funds to support the exceptional work of our charities,” Unltd chief executive Chris Freel said. The first tournament will be held at Sydney University on 8 February with a second tournament in Fawkner Park, Melbourne on 15 February. Both tournaments are followed by a charity auction, post-match celebration, plenty of drinks and bragging rights. Last year the event raised $60,000 for two charities - BackTrack and Breast Cancer Network Australia. BackTrack is a regional charity based in Armidale, NSW, that helps young people through hardship and provides them with skills to find employment and improve their lives.The money helped Back Track build a new office building and fund outings for young people. At least year's event, Mindshare chief investment officer Nicola Lewis delivered a moving speech about her battle with breast cancer. 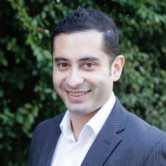 The annual Big Clash is the brainchild of Freel and JC Decaux national sales director Oliver Newton. To fin out more details, contact Chris Freel at UnLtd.